The Wall Street Journal reported some great news for Apple fans, Steve Jobs is still making the big decisions. Chief Operating Officer Tim Cook runs the day-to-day operations at Apple, these people say. 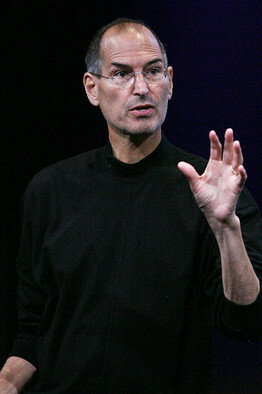 But Mr. Jobs has continued to work on the company's most important strategies and products from home, they say. He regularly reviews products and product plans, and was particularly involved in the user interface of the new iPhone operating system that Apple unveiled last month, these people say. This sounds like great news doesn’t it? Steve may not be well enough yet to return to the day-to-day operations of the company but he’s certainly well enough to stay involved. Even if he never returns to the day-to-day operations he can still take on a roll of Chairman with oversight of product, or something like that. This news story prepares us nicely in fact for such an announcement in a couple of months in WWDC. As with every story though there is another way to look at this one. I got a feeling that a lot of the current good feeling towards Apple was extending from the fact that the company was managing to produce well rounded products without the need for input from Mr Jobs. If he could not return then Apple would be OK because the management team were proving that they could more than handle things on their own. Even the argument that the products being released now were conceived and developed in Mr Jobs’s time could be countered with the fact that the product had to be brought successfully to market by the rest of the team only. That’s no longer the case. Apple were not being lead by their management team minus Mr Jobs. Steve was still in control of the company the whole time. The article even pointed out how involved he was in the new iPhone OS. If I was an Apple investor I’d be worried about Steve’s apparent lack of ability to let the others take credit. He should’ve left the situation as it was and then appear at WWDC and announce his return to Apple in a full time roll, even if it’s not as CEO. I feel that this was a mistake. I now don’t think we’ve any proof that Apple can grow post-Jobs anymore.